An aldi store manager in Lynchburg, Va., went the extra mile when she stepped in to help pay for a woman’s groceries. Frankie Foley was working at the cash register when a customer came through her line and attempted to pay for groceries using an Aldi gift card, but there was not enough money on the card to pay for the entire grocery order. The customer was trying to decide which items to put back when Foley paid the difference. Foley stated it was just a few items and they didn’t cost much, but the customer was grateful for the act of kindness. After complaints from Aldi store managers, a nationwide lawsuit recently ended in a $9.8 million settlement. Aldi employees said the store was paying them a flat salary for doing the same work as hourly employees, who qualify to receive overtime pay. Store managers worked 60 to 70 hours per week for an average of about $80,000, according to Fayetteville, N.Y., attorney Frank Gattuso. Gattuso launched legal action in 2016 on behalf of Aldi employees of Central New York. Aldi said its managers were not required to be paid overtime. 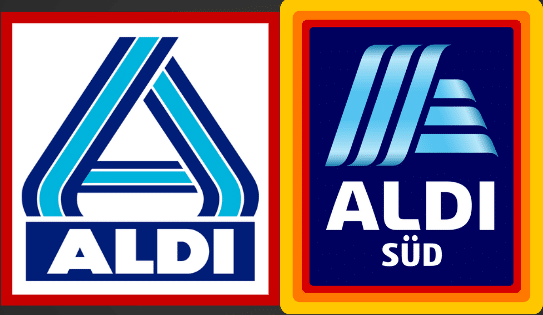 The settlement did not include an order for Aldi to change the practice, and Aldi has been sued over the issue before. About 360 Aldi managers across the nation joined the lawsuit, according to Gattuso. A separate class of about 160 Aldi managers in New York also won damages. Payouts vary depending on length of employment, with the highest payout being $20,000 to a single employee. Aldi has removed about 900 tons of plastic from circulation through its decision to stop selling 5-pence plastic shopping bags in its U.K. stores. Customers can still purchase shopping bags, but they can choose from more sustainable options such as Aldi’s 9-pence flexi-loop bag, which is made from back-of-store waste. Aldi also sells a larger reusable polypropylene woven bag, and the store is testing a cotton bag in some stores. Fritz Walleczek, managing director of corporate responsibility at Aldi UK, said: “The environmental impact of single use plastic bags is no secret, and removing them from our stores is an important step on our mission to eradicate plastic wherever possible. In addition, Aldi has set a goal to offer recyclable, reusable, or compostable packaging by 2022 for its own brand products. Visited Aldi Beaudesert Qld., Australia last week , after paying at the check out , I stood to one side to catch my breadth , Checkout lady came over to offer me a chair or glass of water as I must have looked distressed. Even though I declined her offer , I came away happy that someone cared enough to go that extra bit. She (don’t know her name) is an asset to your business.